Central Question: How are reading, writing, and remembering like looking through a window? Whatever expectations prompt us to associate the literature of memory with soaring lyricism and epiphany—think of Proust and his cookie—Gerald Murnane undermines them. Here’s how he introduces the theme of looking through a window on page twenty-five of Barley Patch: “I had never been inside a house of more than one storey, although I had often daydreamed of watching unobserved from an upper window not only persons close by but also distant landscapes.” This anecdote, presented purposely as flat, fizzles without much point, and Murnane gives it to us as the kind of incidental detail we’ll soon forget—except that this sort of thing proceeds to occur repeatedly throughout the novel, each time collecting greater significance and mystery. Murnane is fond of suggesting that he’s telling you something only because he chanced to recall it. His recurrent desire to look out the window of a two-story house is just the most prominent example: throughout the novel, he braids together seemingly random memories (“a fern protruding through a wall of bluestone,” “a strand of hair lying across the forehead of a female person,” “green bunches of fronds moving under water at unpredictable intervals”)until they splice themselves into significance. Murnane’s method is simplicity itself: he repeats and juxtaposes elements, constantly insinuating through proximity, emphasizing details by ostentatiously pretending they bear little importance. To watch them combine, conjuring substance from mere nearness, is to grasp how ideas become fixed in memory, shimmering with import only for ourselves. This is really all Barley Patch does: Murnane doesn’t give us anything he considers a “character,” and the book has very little plot. It’s more like a carefully arranged collection of standout moments from Murnane’s years of reading and living. Through it all he is always peering through things: Australia’s mammoth plains, “grottoes in churchyards,” dollhouses, the aperture of a tabernacle; he even spies on his friends. He often conflates peeping with sacrilege and punishment, aware of the taboo and perhaps dangerous knowledge accessed by those who would look too deeply into things. But he cautions us that this is not a religious affectation: though the sight of Jesus does not faze him, for instance, he is “in awe of the images of those personages that had lodged in my mind.” As always, the ­images in Murnane’s head are more potent than any exterior reality. Following him along his serpentine path through the dendrites, shaped against the geography of Australia, is like wandering a Möbius strip between the interior and exterior of experience. The biggest question this technique leaves is how it all relates back to his obsession with that second-story window. There are really three Murnanes here—the actual ­author of the book, the person that the text implies is its author/narrator, and the person the text implies is its subject—and Murnane likes to play within the ­shifting relationships among them. 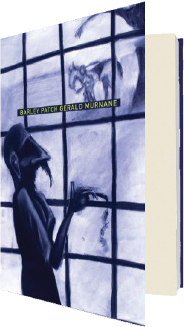 By inscribing these three aspects of himself into Barley Patch, he gives himself a chance to peer, as a fictional character, through a lifetime of memories. At length, then, the novel reveals that reading and remembering come to be just as important determinants of who we are as the lives of passion and drudgery we lead among other humans. Staring through our own windows out onto the vast geography of our life experience is how we let things accumulate importance in our minds.